Being an entrepreneur leaves little room for anything else in life. Most of your day is spend building up your business. The rest of the day is filled with brainstorming sessions or catching up with the work that you couldn’t get done while at the office. Yes, the entrepreneur’s life is busy and exciting. But a little downtime can be good for you. Studies have shown that even a brief period of downtime can be beneficial in restoring energy and helping you refocus. In fact, many entrepreneurs say that they got their best ideas when taking a break. Planet of the Apps is a reality TV show created by Apple. The show follows successful entrepreneurs as they mentor new app developers through the app creation, funding and scaling process. Planet of the Apps also features exciting celebrity appearances from some of the top names in entertainment. The celebrities appearing in season one include Jessica Alba, Gwyneth Paltrow and Will.i.am. If you want to see what its like to start a tech company and launch an app, this is the show to learn some real-life lessons about emotional intelligence and more from the experiences of other tech entrepreneurs. It’s always inspiring to see how regular people can become extremely successful. This show is just about that. The CNBC show features regular people who have been able to turn their sports marketing ideas and many other business ideas into multi-million dollar businesses. The show delves into their lives to show how they started their businesses and grew them into the successes they are today. There’s nothing more thrilling than watching sharks attack. The Shark Tank is both thrilling and inspiring. Based on the BBC’s Dragon’s Den, the reality TV show features prospective entrepreneurs seeking business funding for their ideas. They get to present their ideas to a panel of well-known successful business personalities. The ‘sharks’ get to ask the entrepreneur questions about their idea and give their opinion about it. They can make an offer to the entrepreneur if they like the idea. 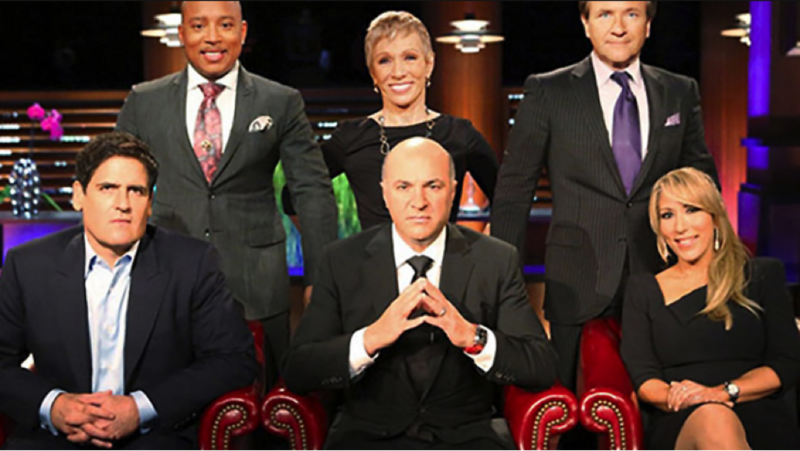 CNBC brings another thrilling reality show that is sure to inspire the entrepreneur in you. The Profit features entrepreneurs with ideas or businesses that are struggling. They are approached by the host, Marcus Lemonis, who offers them his expertise and a capital investment in return for a share of the company. This show is great if you want to learn about the issues that often make would-be great business ideas tank. Take note of the advice given and apply it to your own venture to improve your chances of success. Worry about business cards tomorrow. Tonight, take the time to watch this show to gain some useful business insight instead. Whether you’re in the tech industry or not, this show will inspire you to think outside the box. The reality show features technoprenuers seeking funding to build up on their ideas and businesses. The show also features great mentors from the tech industry who share their advice. There are many lessons you can learn from this program as an entrepreneur, even if you plan to open a service based business. Dragon’s Den is probably not a show you have ever heard of before, but it is certainly one you should consider watching. This TV show is perfect for entrepreneurs, especially those looking to start a global business, because it is the Japanese Shark Tank. Just like Shark Tank, entrepreneurs pitch invention ideas to venture capitalists looking to invest. Try watching Dragon’s Den online if you like Shark Tank and want to add to your list of entrepreneur tv shows to learn from. So, when you feel tired and need to recharge you batteries, you should consider catching up with any of the above shows for some inspiration. Take some time to research TV providers in your area. Find out if they offer the type of programs that will help you grow as an entrepreneur. You can turn your downtime into a highly productive part of your day with the right kind of TV shows.